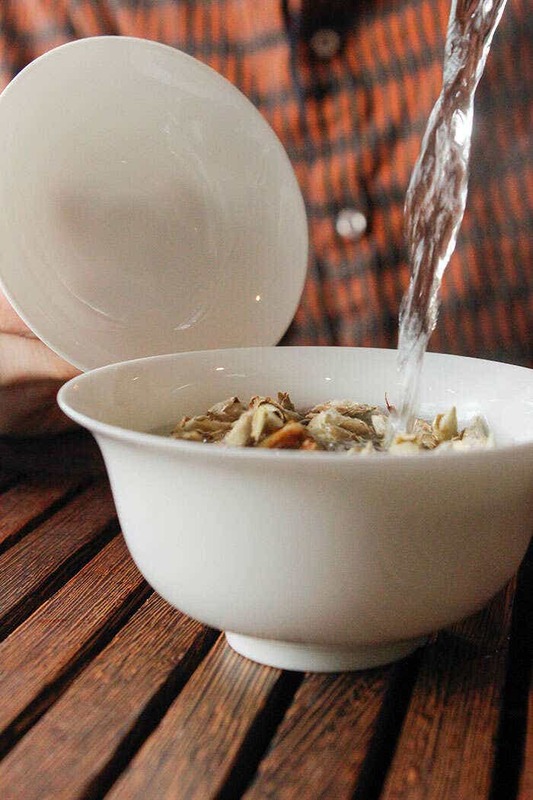 Yabao is one of the most intriguing kinds of tea out there. 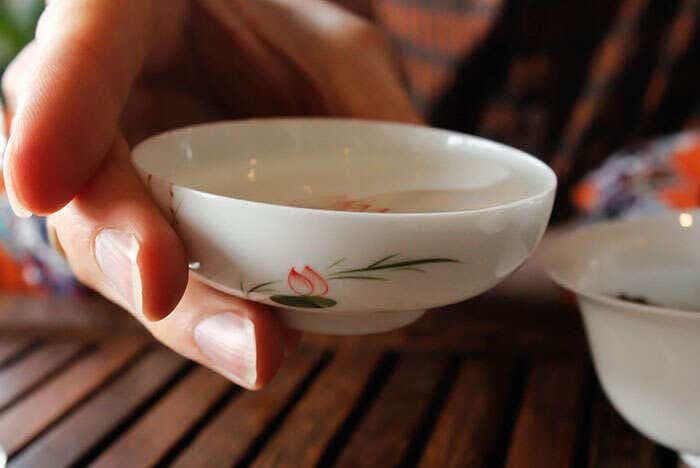 You could walk in to ten tea shops in China asking for yabao without finding it, and often without the owner even knowing what it is. Yet, yabao has a strong underground culture of advocates. Find the right person and their eyes light up. The yabao devotee will duck into a back room and bring out a rare aged yabao cake, or a canister of precious wild-picked buds. Indeed, we met one of our strongest partners, Master Han, while asking after yabao. Master Han wild-picks from trees up to 1200 years old in the forests of Qianjiazhai, Yunnan, and very rarely, he picks yabao. When we saw a precious bag of yabao in front of him, it stopped us in our tracks. We had to know more. He was so surprised to see an American who loved yabao and spoke Chinese that he invited us to sit down and hear his story. Master Han explained to us that yabao is picked from the larger tea trees in late winter and early spring. New growth on the tree starts as a well-protected bud with harder casing to ward off the cold (and animals) before opening up as the weather warms and sprouting into new branches and leaves. These buds have to be picked sparingly and respectfully to ensure that the tree continues to thrive. After picking, the buds are allowed to sun-dry. In China, yabao is particularly prized as it ages. A young yabao will be light and crisp, while older yabao can become deep, rich and spiced in flavor. In fact, we have started a tradition of giving this tea to our newlywed friends so that they can have a tea to grow with them. We try our yabao several times a year and keep a journal of tasting notes to see how it is growing. 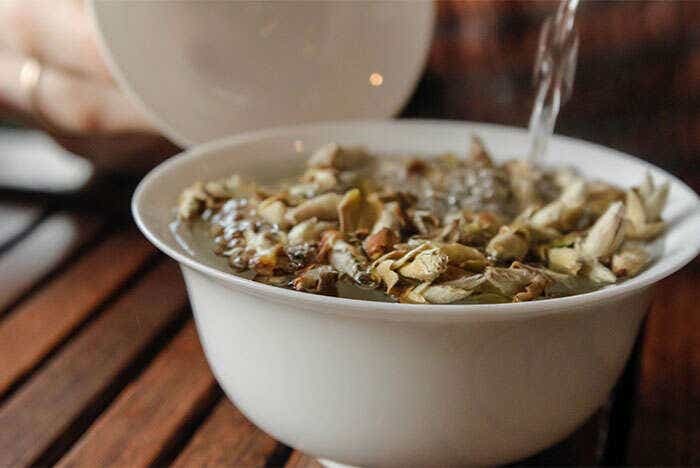 Age yabao just like you would another loose sheng pu’er – keep it away from light and excess moisture, and store it away from strong smells and distinctive odors (like basements, spice cabinets and bathrooms). Because yabao is made from sweet and unbroken buds, and because it is gently sun-dried, it is almost impossible to oversteep yabao. This makes it one of our favorite travel teas. Hiking the shore of Lake Superior in our cold Minnesota winters demands a steaming thermos of tea, and the warm spiced notes of yabao fit the bill perfectly. We just add a pinch of leaves in the morning and let them sit in the boiling water all day, getting sweeter and sweeter. 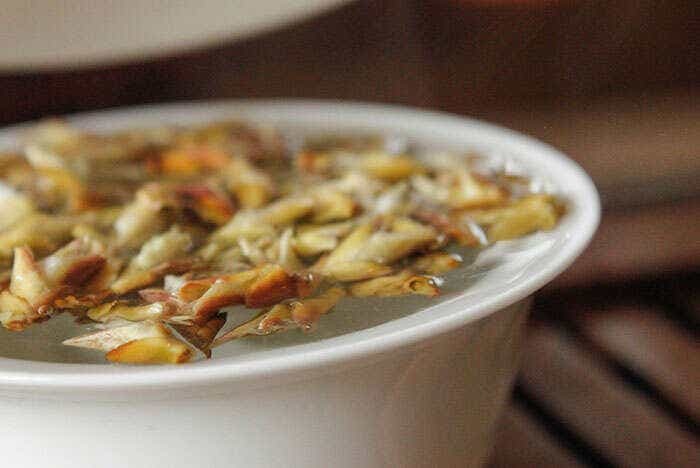 When steeping yabao in a mug or a gaiwan, we recommend using a full 7 grams of tea and steeping for 30 to 45 seconds to get rich, deep infusions. We like steeping in glass when we can to admire the beautiful shapes of the buds. We like to extend the steeping time with each infusion and will push this tea to 20 infusions to see it change. When you are done steeping, pick out some buds and start peeling back the layers to see how much leaf material is packed into each bud. Yabao-infused specialty drinks and more! If you really get into yabao, we love using this tea in alcoholic infusions. 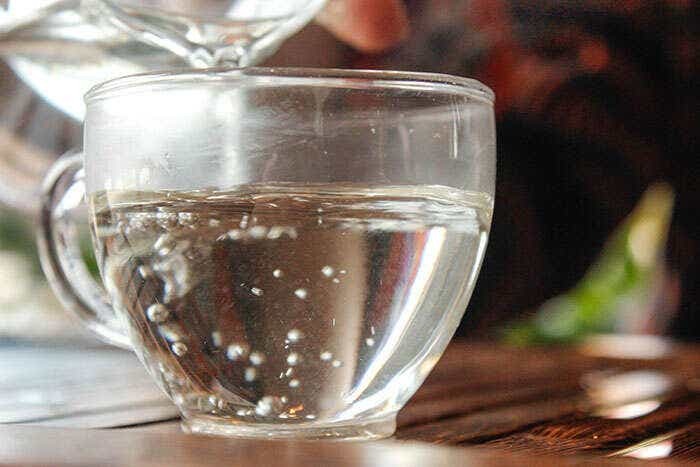 Pick out a relatively light gin and add a few tablespoons of yabao to the bottle. Check up on the experiment in 1-2 days and see how complex the gin gets. Have fun with this remarkable tea as you explore its totally unique flavor. Posted on March 28, 2014 at 2:27 pm. i had never heard of this, sounds wonderful! I’ve always been kinda afraid of Yabao just because I didn’t know what it was but now I’m excited to try it! I wonder how this would do in a Kombucha! Very interesting tea. Love the flavor it provides! Is it allowed to ferment in the same manner as Pu’erh? 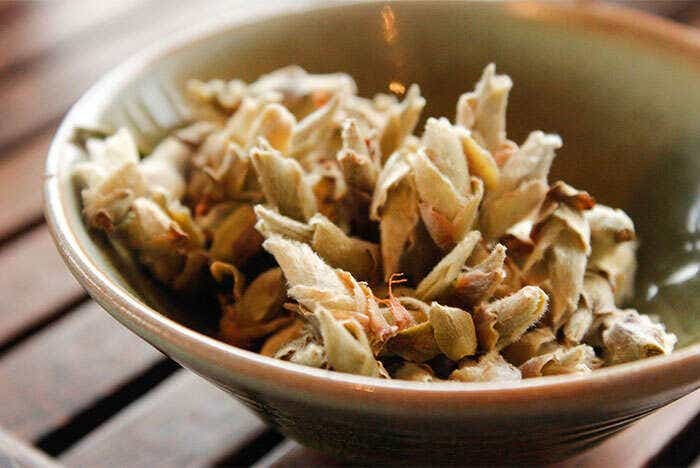 This is beutiful, never though of buds making tea, after there strong shell, but it sounds quite interesting ,try and see the taste its “chi” stored to bloom in the spring. I beleave the first four to five infusions of the tea will need a calming down effect for the outer bud’s shell to reveal its deeper beuty!! Thanks for the great review and story about the tea! Love this!! I had encountered this tea in a tasting at TeaSource (a local tea store, for those not from Minnesota), where I have bought tea up till now. The flavor was so faint that it was hard to grasp. This is probably because they steep it in water at 155-165 F, and only steep it once. 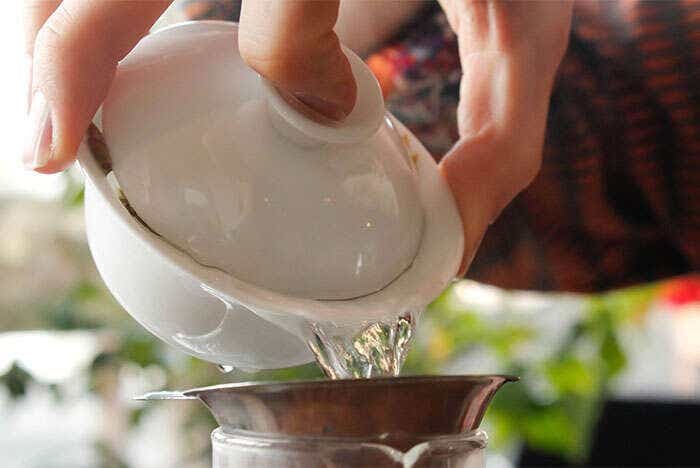 Less flavor comes out at a lower temperature, and in the first steeping. So, I was not interested in trying it. It’s sad that a tea is ruined by improper steeping. White Peony is also not as delightful at 165 degrees; the flavor comes out much better at 185. (Or maybe I should try it at 205? But it seems to get a pungent flavor at a temperature higher than 185.) Now I’ll have to get yabao and steep it properly. Thank you for the article! I hope you have the chance to try a wider variety of Yabao, soon! We’ve also got a truly beautiful, engaging “original” Yabao (from Qianjiazhai’s Camellia Crassicolumna rather than Camellia Sinensis var. assamica or Camellia Taliensis that are more common in Lincang and other parts of Yunnan) coming over from the Zhenyuan Dongsa Farmers’ Coop in the next few weeks. We’ve learned even more about Yabao (from a botanical point of view) since we originally wrote this article, and we’re looking forward to writing a follow up. Fingers crossed, we’ll be able to organize a local tasting here in MSP also in the next few weeks. If we do, we’d love to get together with you and share tea, face-to-face!